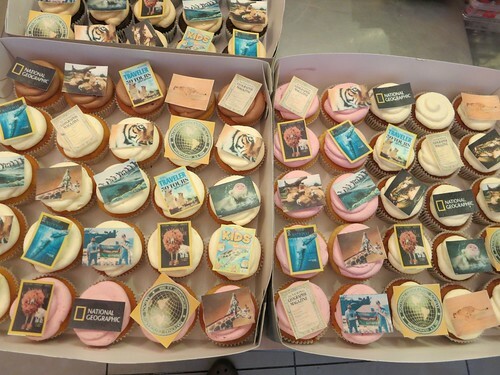 National Geographic Cupcakes, a photo by CAKE Amsterdam - Cakes by ZOBOT on Flickr. FLAVORS : Vanilla and Chocolate cakes with raspberry, Citrus, Chocolate and Caramel Silky Buttercreams and Spice Carrot with Cream Cheese Frosting. I love it!! Could you eat the pictures?